According to Wikipedia, a quilt is a multi-layered textile, traditionally composed of three layers of fiber: a woven cloth top, a layer of batting or wadding, and a woven back combined using the technique of quilting, the process of sewing the three layers together. The pattern of stitching can be the key decorative element if a single piece of fabric is used for the top of a quilt, (a “wholecloth quilt”), but in many cases the top is pieced from a patchwork of smaller fabric pieces; and the pattern and color of these pieces will be important to the design. But quilts are so much more. They are a hug that can wrap around you anytime you need one. They are warm, comforting, and they give support in times of trouble or need. Many of us remember our grandmother’s handmade quilts while we were growing up. I was not that fortunate. Neither of my grandmother’s quilted. My dad’s mom sewed beautifully and made me new dresses all through my teen years. It wasn’t until after I met my husband and went with him to the Amish country in Lancaster that I discovered the beautiful quilts. From that moment on I was hooked. I have loved quilts for years and wanted to learn how to quilt. Finally, after moving to North Carolina I found a quilt guild close by and joined. I was fortunate enough to meet wonderful, talented women who taught me so much. It wasn’t long till I was teaching others how to quilt. Well, how to piece. The quilting part was difficult for me. I was a poor hand quilter and just could not coordinate my hands and the motion to machine quilt on a domestic machine. My husband got me a Grace frame with a larger necked domestic machine and I had a ball with it. I was turning out quilts right and left. However, I longed to have a Long Arm Quilting Machine. My dream was realized. I have an 18-inch Babylock Longarm machine. I love how it stitches and have learned a lot of patterns that add both depth and interest to my quilts. It amazes me that I have been quilting for 13 years already and still have so much to learn. Many vintage/antique quilts were made using feed sacs in the 1930’s. Civil War era quilts were made from fabric from the era of the war. I have seen some beautiful vintage quilts and would dearly love to own one. Maybe one day. Wow! P has a lot going on in the sewing world. I’ll start with Patchwork. This is a term used in quilting. It is when you sew small pieces of cloth in different designs, colors, or textures together to create a block. Here is an example. You can see that different fabrics are sewn together in a random pattern. They could also be sewn together to create a specific pattern. When many different pieces of fabric are used, the type of quilt is referred to as a scrap quilt. Now Patterns refer to the directions for creating a quilt or an article of clothing. There are many types of patterns used in quilting. 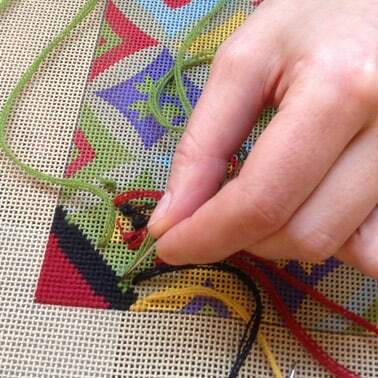 Appliquè requires a pattern for the shapes of the objects to be put on the background. Many times there are patterns in the form of templates when you are making purses, toys, dolls, etc. and when paper piecing which is a way to create a quilt block that has a specific object in it. Clothing patterns are made of thin paper with lines designating the direction of the grain of fabric to cut along. The paper is pinned to the fabric, then cut out using pinking shears. The pattern includes markings for the seams, darts, and areas that are matched up with the attaching piece of fabric. 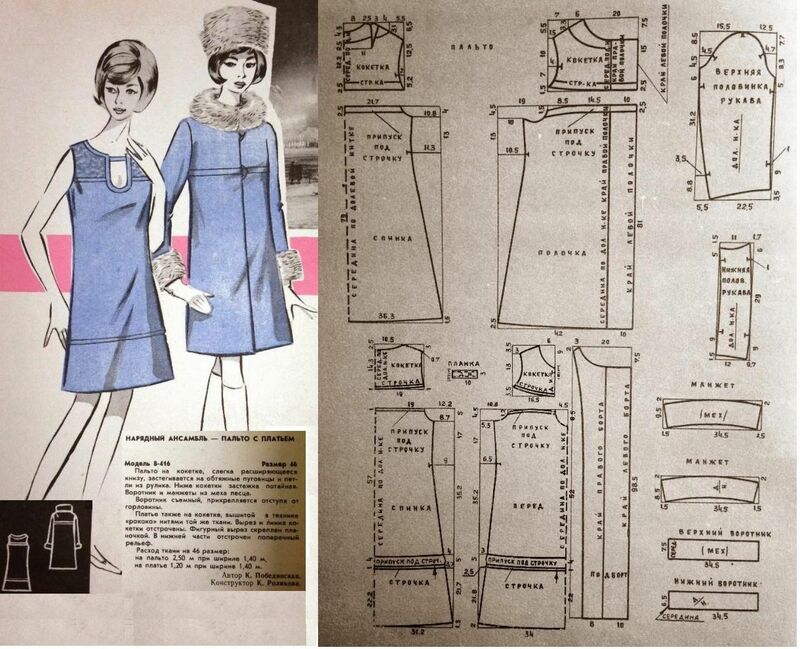 Clothing patterns have improved so much in the last fifty years. The directions are written well and the patterns themselves have improved. Cutting clothes out is still not my favorite part of the operation, but with the new sewing machines with the variety of stitches, it makes it possible to use regular scissors rather than the pinking shears. Here is a typical clothes pattern. On the left is the pattern itself which is pinned to the fabric so that the shapes can be cut out. On the right is a picture of the outside of the envelope that pattern comes in and then the description of what pieces are used for what options you choose. Finally, there is the pattern layout. The width of the fabric you are using determines the layout of the pattern so that there is minimal waste. You can make your own patterns as well. When my granddaughter was little I used to design cute little sundresses for her. They are simple to make and work up so quickly. Pins, they are just what you are imagining. There is such a variety of pins that are used in quilting and sewing. Dressmaking straight pins, appliquè pins which are thin and shorter, glass head pins, pins with directions on the top, safety pins, large hat or corsage pins and I am sure there are some I have not thought of at this time. When quilting to keep your seams even and your blocks nestled into each other, use of pins is helpful. Some people never pin, some always pin. When constructing clothing pinning is essential to a good fit. First, the pattern is pinned onto the fabric, then the pieces are pinned together for sewing. No matter what you are making pins are always a part of the process. Pincushions are simply where you keep your pins handy for use. 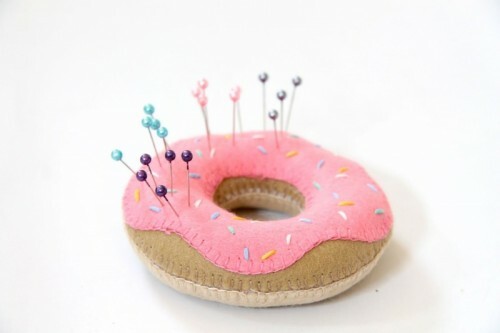 There are many different kinds of pin cushions. Sewers and quilters love pin cushions. The cuter the better. I will mention here that even the magnetic pin holders are referred to as pin cushions. Here are a few examples. 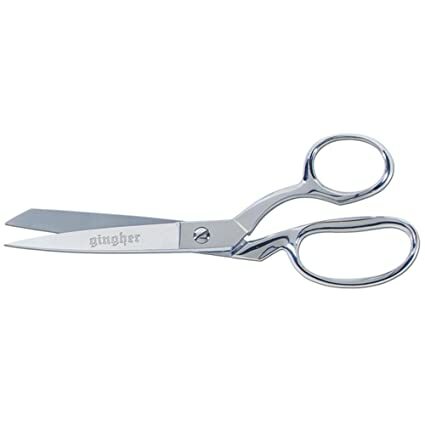 Pinking shears have serrated blades that leave a zig-zag type of edge on fabric so it won’t fray. 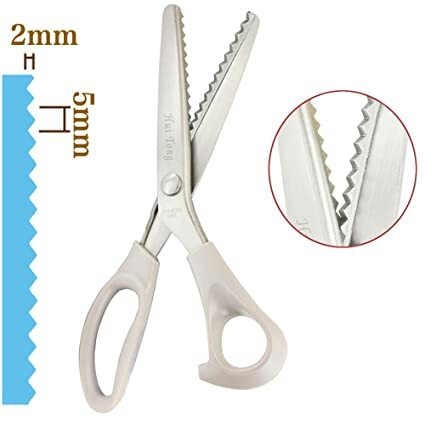 See the difference between the pinking shears and regular scissors? Pleats are a double or multiple folds in a garment or other item made of cloth, held by stitching the top or side. These create extra room in the piece. 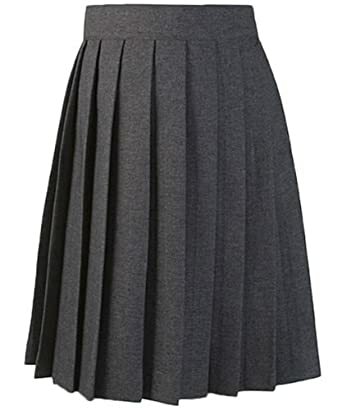 For instance a pleated skirt. Pockets are added to all kinds of things. Clothing, pocketbooks, lap quilts, and wall hangings to name a few. They are not only a useful thing to have in your garment, but are also a design element. 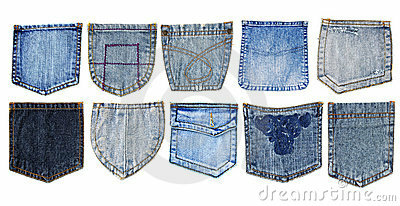 I have included a selection of jeans pockets that are used by various manufacturers. As a quilter, I have added pockets to purses, quilts, and clothing. You can never have too many pockets. That brings us to Project. In the quilting and sewing world what we are working on is referred to as a project. Usually, quilters have more than one project going at a time. I am not sure how this happens. Maybe it’s because in the middle of one project you need to make a new baby quilt, or a wall hanging for a friend’s birthday, or you take a class, and sometimes you just get bored with what you are doing and need a break from it. That wraps up the P. I hope you have learned a little something while visiting me today. Material in the sewing world is the cloth fabric that is used. Cotton, polyester, wool, linen, silk, satin, denim, and others are readily available today. Many fabrics are imported some are still made in this country. There are chains of stores here JoAnn’s, Hobby Lobby, AC Moore to name a few and many many quilt shops where a variety of material can be obtained, along with thread to compliment your projects. A lockstitch is the most common mechanical stitch made by a sewing machine. It differs from a chain stitch in that there is no chain on the underside of the stitched fabric. Chain stitching machines are mostly handheld or children’s sewing machines. Most of the industry use only lockstitch machines. When sewing with a lockstitch the tension must be even on both the top and bottom thread. It is suitable for stretch fabrics, and any other available fabrics on the market today. The chain stitch is very good for making bathing suits, and for very stretchy fabric because the chain on the underside has more give to it. Knitting is done with wool or synthetic yarn. Sweaters, scarves, gloves, mittens, afghans, and many other articles are made by knitting. The basic stitches of knitting are knit and purl. Every other stitch is basically a variation of these two basic stitches. You can also knit using a loom. There are many options available for whatever you want to make. It is not necessary to spend a fortune to give knitting a try. Yarn, knitting needles are inexpensive and there are so many patterns available for free online and on the inside label of yarn. We mention knots here because they are needed to hold the thread in place. After threading a needle, a small knot is made at the end of the thread. This keeps the end of the thread from slipping right through the fabric. Knots are used in hand stitching, not with a sewing machine. 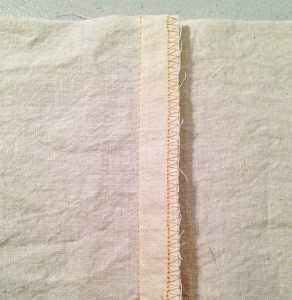 When using a sewing machine backstitching is done by reversing the direction of the fabric as it goes over the feed dogs.